^ Table (undated). "Libya" (requires Adobe Flash Player). Der Spiegel. Retrieved 31 August 2011. ^ Weather Information for Tripoli. World Meteorological Organization. 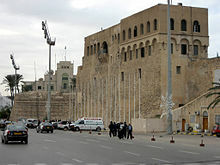 May 2011 [15 October 2011]. ^ "Contact Us 互联网档案馆的存檔，存档日期12 May 2009.." Afriqiyah Airways. Retrieved on 9 November 2009. ^ "Libyan Airlines." Arab Air Carriers Organization. Retrieved on 9 November 2009. 互联网档案馆的存檔，存档日期7 March 2011. 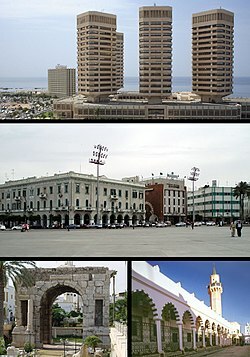 Living tips and advices for Tripoli. 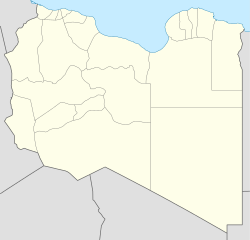 Google Maps showing "greater" Tripoli, roughly bounded by Tajura on the east, Janzur on the west, Qaşr Bin Ghashīr on the south. (View at 1024x768 screen resolution or adjust the map to the described boundaries).